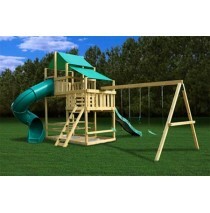 Shop for Plan It Play Swing Set Kits. Kits arrive with 3D illustrated plans, and include everything except the lumber. 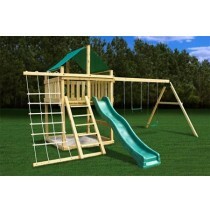 The hardware, swings, and bolts and screws are included along with the directions. 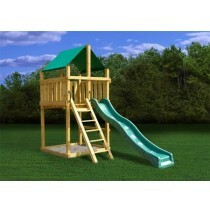 Add on a slide and extra play accessories and create something spectacular for your backyard. Plan it play kits are for the consumer who wants to build it yourself. Most kits come with hardware and accessories. Create something wonderful in your backyard. Kit Includes: Fort hardware (zinc plated) Swing beam hardware, brackets, hangers and spring ..
Buy the Kit, Purchase the Lumber at your local lumber yard and Build it yourself! 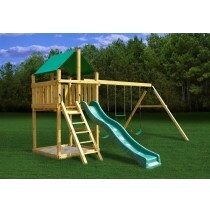 Kit Includes: ..
Eclipse Fort with Swings - Buy the Kit, Purchase the Lumber at your local lumber yard and Build it y.. 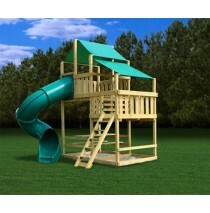 The Eclipse fort is 6'x 6'(deck floor) and rests approximately 5 feet off the ground. It's designed .. 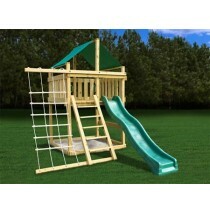 The playset is easy to modify and fit almost any slide combination. All of which are available throu.. The lower deck is 4ft. x 6ft. wide and the upper is 6ft. x 6ft. wide with 7ft. of head clearance. Th..